The website of the Azerbaijan Translation Centre under the Cabinet of Ministers (www.aztc.gov.az) will be launched in seven languages on December 9. 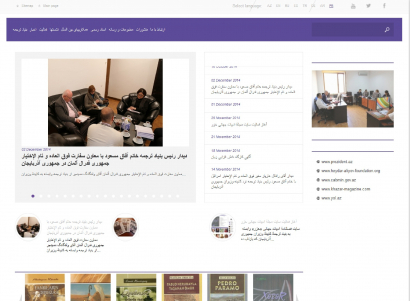 From the very outset being available in Azerbaijani, Russian and English languages, it is also going to be viewed in Spanish, Arabic, Persian and Turkish from now on. And internet users can visit websites of Khazar quarterly world literature magazine (www.xezerjurnali.az) and Aydin Yol newspaper (www.aydinyol.az).